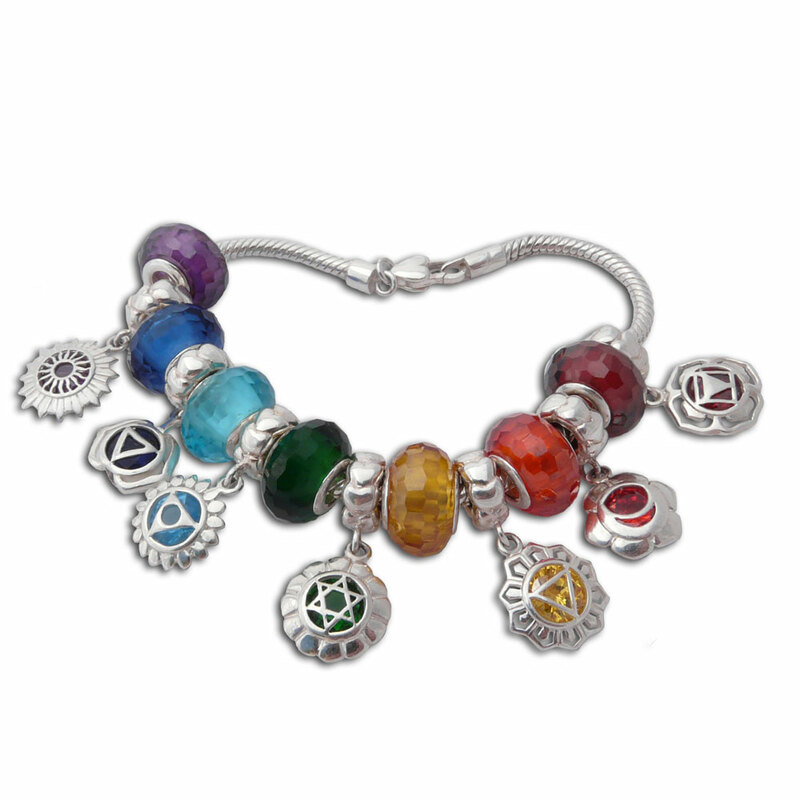 BBD701 Colourful chakra bracelet with all 7 chakras. Plus 15% savings (off of buying them individually)! They can be easily put on and off so you can wear one, a few or all of them at once. This chakra charm bracelet has 7 faceted stone beads with sterling silver rim and 7 chakra symbol beads to give you all the good chakra vibes! With this set you get a root chakra faceted bead, a sacral chakra faceted bead, a solar plexus faceted bead, a heart chakra faceted bead, a throat chakra faceted bead, a forehead chakra faceted bead, a crown chakra faceted bead, root chakra charm bead, a sacral chakra charm bead, a solar plexus charm bead, a heart chakra charm bead, a throat chakra charm bead, a forehead chakra charm bead and a crown chakra charm bead on a 3 mm snake chain base bracelet with spring clasp. 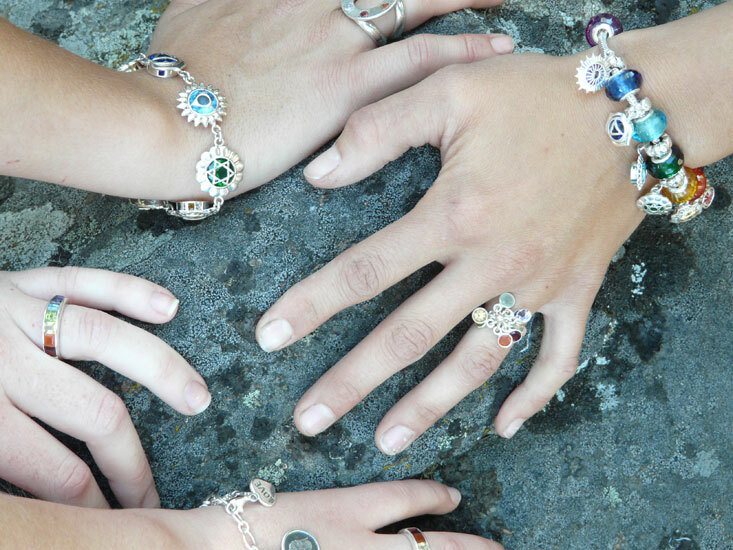 Sterling silver chakra cuff bracelets with the stones of the seven chakras in a ray of colour. Semi-precious gemstones are: garnet, carnelian, citrine, peridot, apatite, iolite and amethyst. Good Vibes Heart Chakra Charm with emerald colored glass. Sterling silver heart charm with a clasp so you can add it to most of our necklaces or bracelets to make your own heart chakra jewelry or create a combination of all the chakras you want.